Is between 10-20 lbs. and offers an spooky, white skin and delicious orange flesh for cooking. 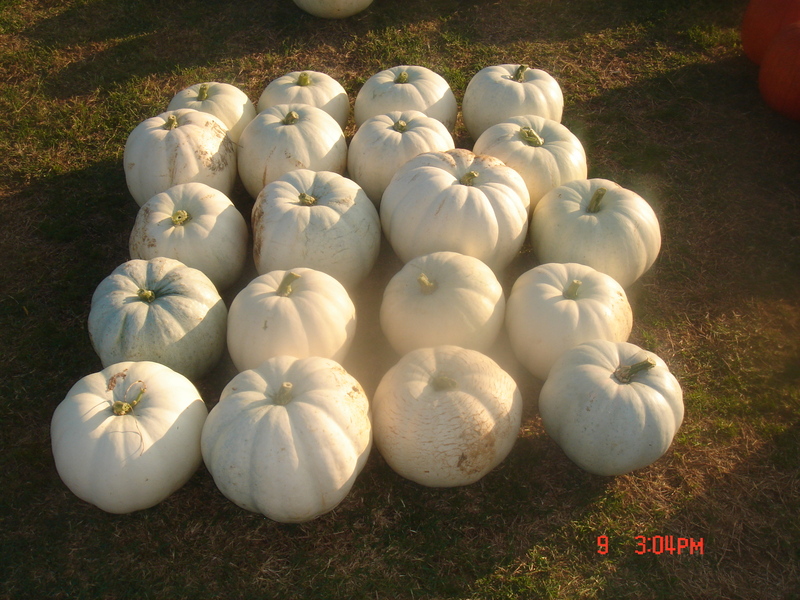 Lumina pumpkins are a ghostly white on the exterior, but have an orange interior flesh. They have a delicious flavor and are excellent baked into a pie. When you bring one home display them out of the full sun so they will last longer and keep their white color. 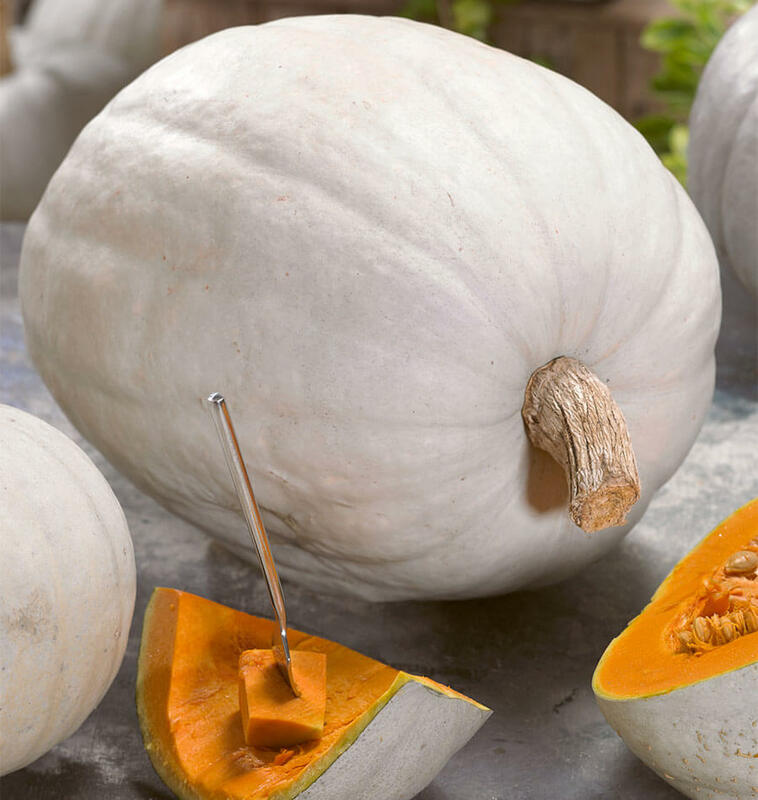 The satiny texture and sweet pumpkin taste of the Lumina variety is excellent for baking. Recent variety (1990), resulting from a spontaneous mutation, originating from the United States. 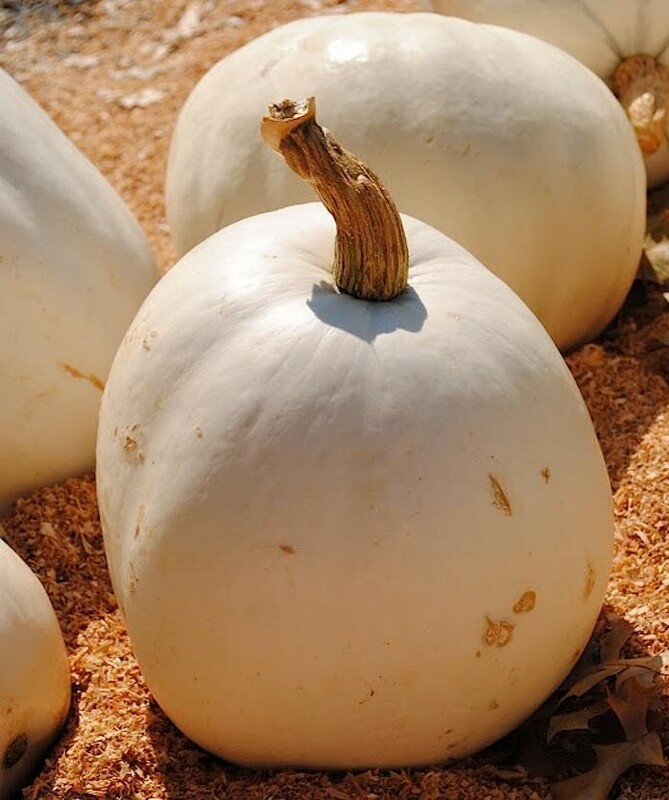 Enjoy the ghostly white, smooth, clean skins of these medium sized Halloween pumpkins. Plant Super Moon pumpkin seeds in full sun, in fertile soil with enough space to allow the indeterminate five foot long vines to take hold. Expect two to four fruits per plant, each weighing 25-30 lbs, and measuring 38-45cm (15-18″) across. The deep green leaves are tolerant to powdery mildew, and the fruits are early maturing.